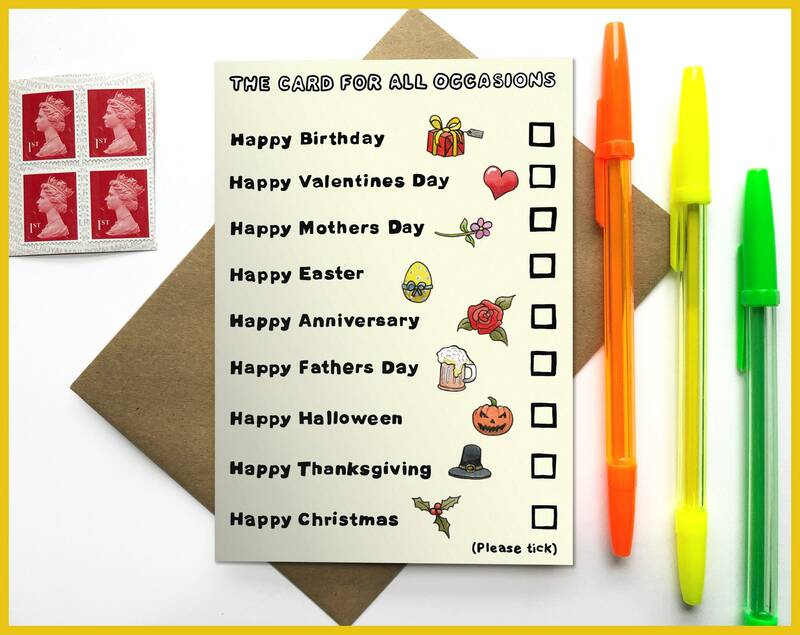 This card really is for all occasions, all you have to do is find your favorite pen and tick the occasion you need to send a card for - simple! 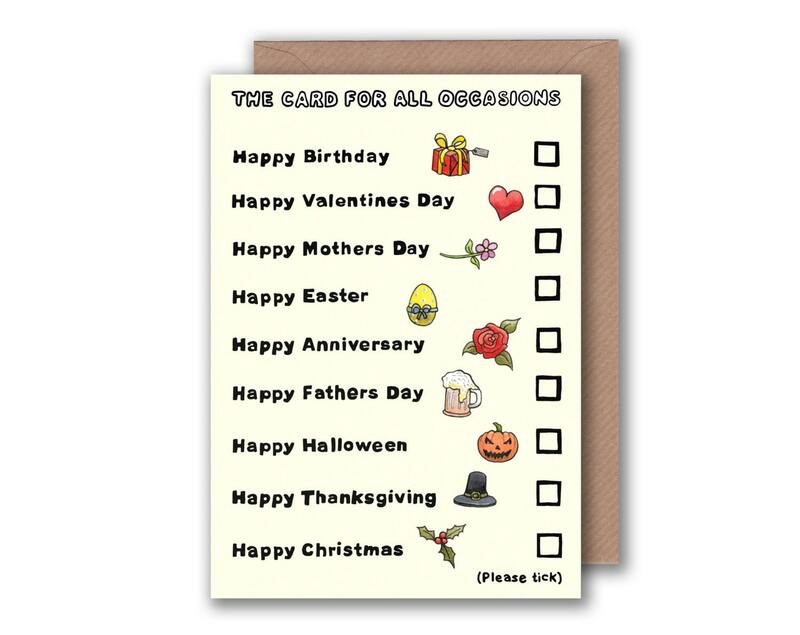 This card celebrates Birthdays, Valentines Day, Mothers day, Easter, Wedding Anniversaries, Fathers Day, Halloween, Thanks Giving and Christmas! 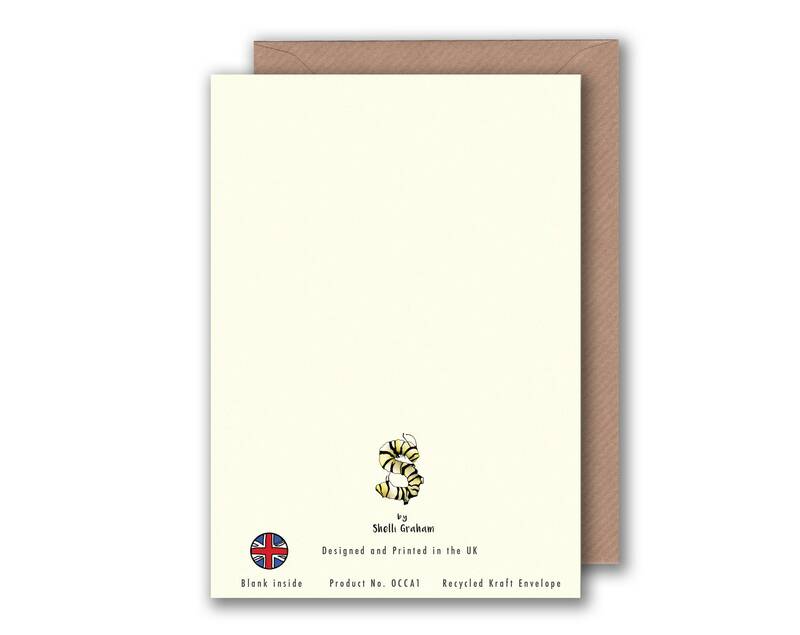 'The Card for all Occasions' greeting card is printed on 300gsm TruCard, a specialist greeting card material that is coated and scratchproof on the outside and uncoated on the inside so it's easy to write on.